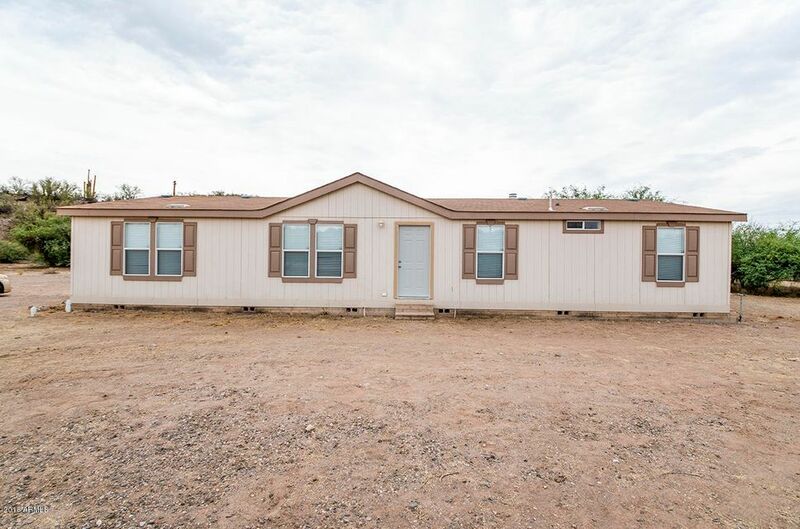 All Winkelman homes currently listed for sale in Winkelman as of 04/25/2019 are shown below. You can change the search criteria at any time by pressing the 'Change Search' button below. If you have any questions or you would like more information about any Winkelman homes for sale or other Winkelman real estate, please contact us and one of our knowledgeable Winkelman REALTORS® would be pleased to assist you. 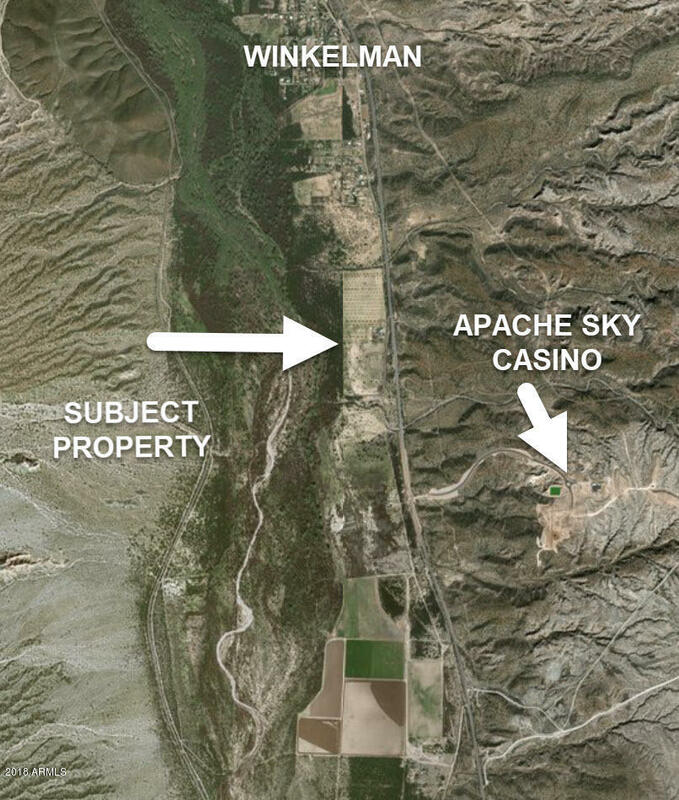 "MAKE OFFER: 55 AC / LOTS OF WATER / FARM/ MARIJUANA CULTIVATION The property could be used for Marijuana cultivation, no shortage of water, outside an active management area in the San Pedro river basin. There are 3 wells, 2 irrigation wells and an exempt well for the home, all wells are registered. The 2 irrigation wells can pump 350 gallons per minute and have electric upgrades, new pumps and control boxes. The smaller well can pump 20 gpm for the house. There are some extra large irrigation "
"Sprawling Ranch property in Southern Gila County with citrus, date palms, many fenced areas on 57.5 acres. 2+BR 2BA home remodeled in 2004. Additional 1160 s.f. living area unfinished including 3rd bedroom and 3rd bath. Hay Barn. 4 car tandem garage. Numerous outbuildings. Property crosses Dripping Springs wash and continues into foothills. Backs to BLM land. May have up to 6 residences on the 2 parcels. Opportunity for RV Resort. Has many fenced in areas. 3 wells on the property. Many large cit"
"Do not miss this amazing private get away! This 16.90 acres is surrounded with mountains and desert landscape. Bring your cowgirl or cowboy and saddle up. Live like the Ingalls and enjoy the privacy of the country. The home is a well maintained 4 bedroom 2 bath with a beautiful fireplace for those long winter nights. The perfect get away to escape city living. 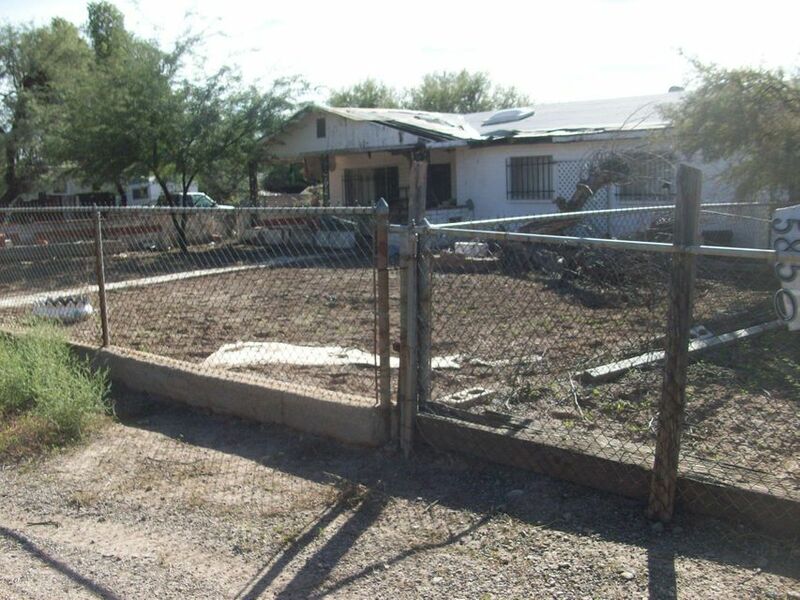 The property is fenced with 2 double gates. Come out and take a look." "Winkelman offers beautiful mountain views. This home offers a very spacious great room floor plan with fireplace - Great for investment or the first time home buyer. Seller is selling the property in as-is condition, with no warranties either expressed nor implied. Buyer to verify any and all items that are of material issue. Priced for a quick sale."